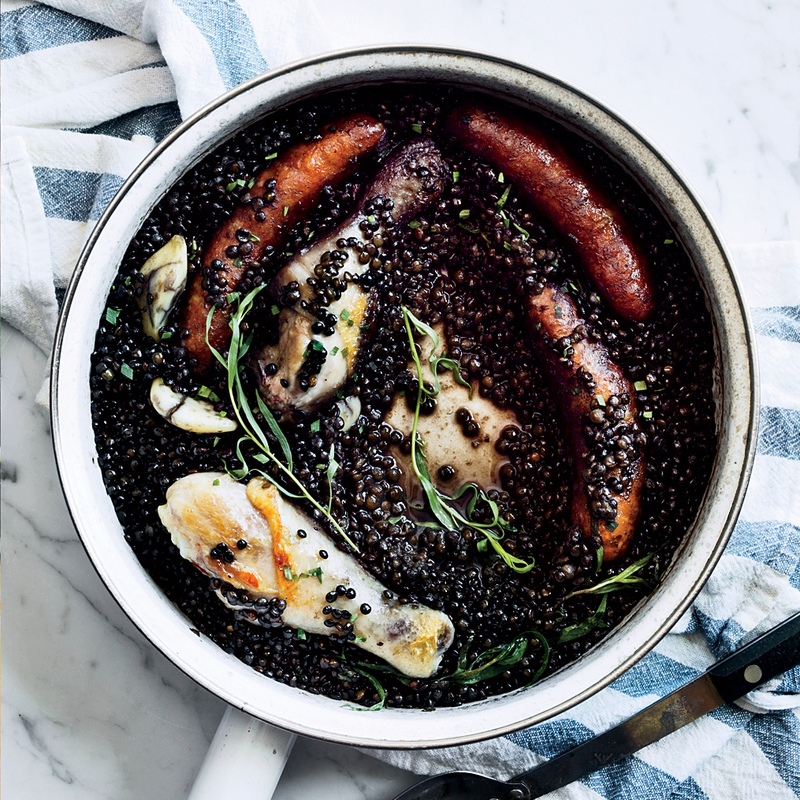 French cooking doesn't have to be complicated. From a lentil-and-chicken cassoulet to mini tartes flambées, we've got you covered with these easy French recipes. Lebneh is yogurt that's been strained to remove all the whey, resulting in a thick, creamy fresh cheese. Here, it provides the base for a light and tangy smoked trout spread. The richness of this silky pate is balanced by tart green peppercorns. It's even better made a day ahead, making it a convenient Thanksgiving Day starter. Ratatouille contains all kinds of vegetables, including zucchini, squash, eggplant, tomatoes and bell peppers. Sandro Gamba sometimes makes his in a large skillet, then tops it with fluffy egg whites that puff up in the oven. "People look at it like it's candy," he says. "They see how pretty it is, and they want to eat it." 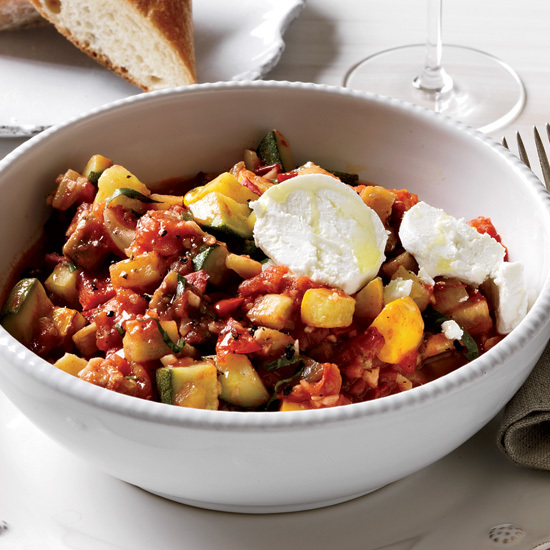 In traditional ratatouille, vegetables simmer together until they're falling-apart tender. 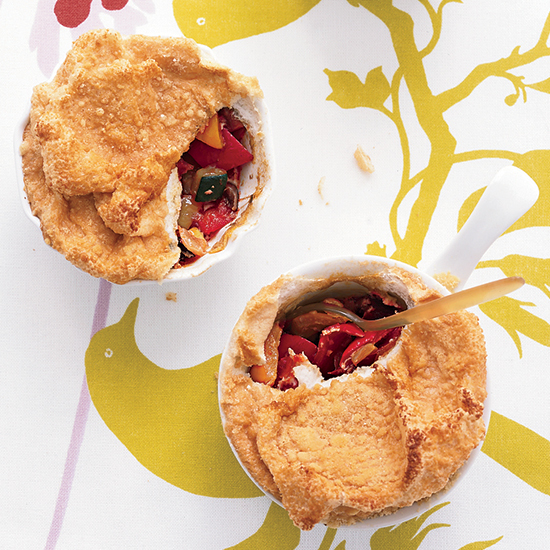 Here, Melissa Clark cooks them quickly in batches, so they retain their flavor and texture. Jonathan Benno uses store-bought puff pastry and an uncomplicated caramel to make this sublime and surprisingly fast dessert. 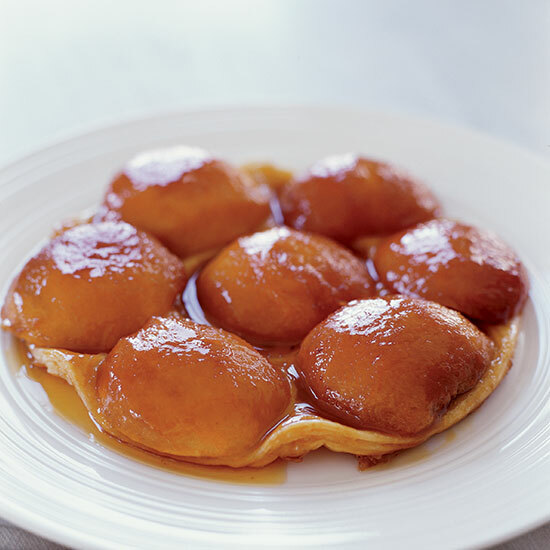 It reminds him of the homey cobblers his grandmother used to make, but with the refinement of a classic French apple tarte Tatin. "This whole menu is all about what I love to eat in the middle of the summer," Benno says. "I'd sit down to this meal any day in August." 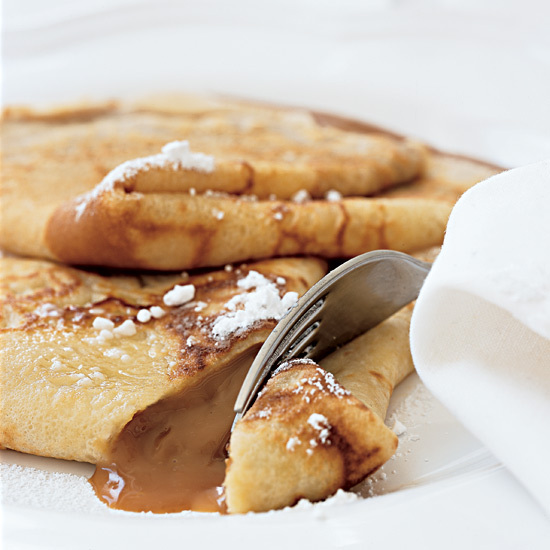 The gooey caramel inside these crepes make them a must-have dessert. 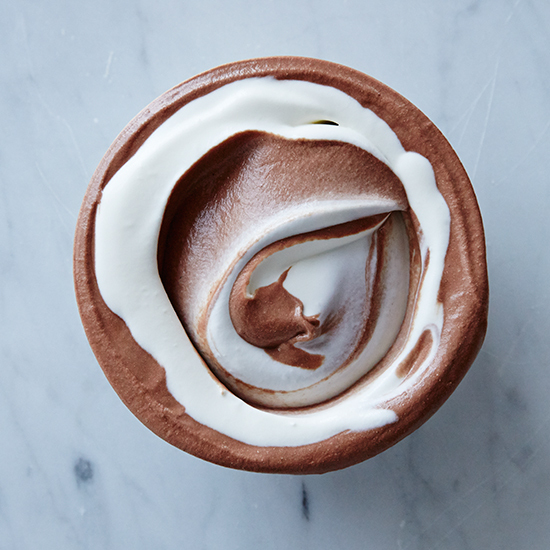 What sets Dominique Ansel's chocolate mousse apart from other versions of the dessert is that he folds in the chocolate just before serving. This is a bite-size version of tarte flambee, a traditional Alsatian tart. 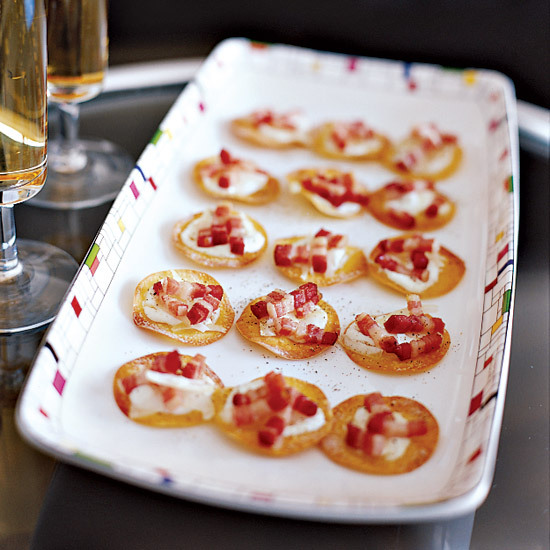 Gabriel Kreuther's mother makes tarte flambee on the family farm in Alsace, using home-smoked bacon and home-grown onions. 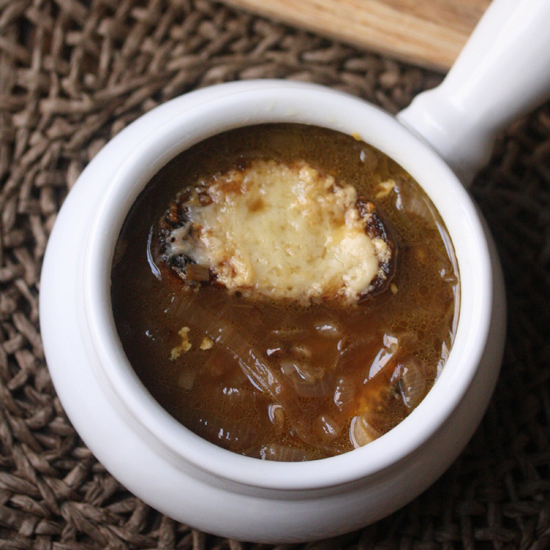 For this lighter version of the classic French onion soup, freshly grated Gruyere cheese is melted over whole-grain toast and served on top of the soup.